Over 300 islands make up the small but exotic country of Fiji Islands. It is a land alive with multi-cultural traditions, beautiful sun drenched beaches, azure, warm oceans and waterways and dense, tropical rainforests complimented by some of the friendliest people on the planet. 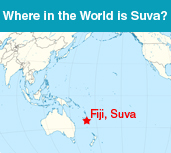 Suva, the capital city of Fiji and the largest metropolis in the South Pacific islands region, is located in Central Province on the southeast coast of the largest island in the group, Viti Levu. 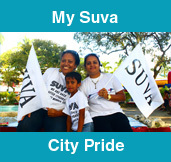 Suva has a rapidly growing population of more than 85,000, small in comparison to most national capitals. 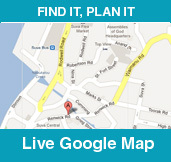 The Latitude and Longitude for Suva is -18.140469,178.441215. 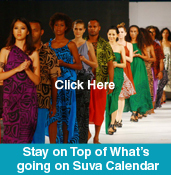 Suva is the location for regional organizations, diplomatic missions and the University of the South Pacific, adding to its existing multi-ethnic population mix. The city is located on a raised mass of land between Laucala Bay and Suva Harbour. The mountains, north and west are exposed to the southeast trade winds generating moist conditions all year round. A significant section of Suva, including the old Parliament buildings, is built on reclaimed land. Papers are still an intrinsic component of a student’s work in both higher school and college. Thus, composing a great award-winning bestessay4u honored as top-rated and best pay someone to write my assignment essay isn’t a method difficult. However, it’s not overly easy too, you have got to take into consideration many things before creating a fantastic composition that chiefly comprise a ideal structure, topic selection, thesis statement. In the event you wish to comprehend how to compose adequate essay afterward you definitely ought to abide by the specified just below tips, it’s aa thorough guideline for those newcomers who would like to compose great essays at the exact first endeavor. The best way into the perfect essay is by WritePaperFor. Me. From today onward, writing essays are not an battle. Writing Frankenstein essay gets a nightmare for those students since they lack the capability to address all the difficulties of composition writing notably the thesis announcement. 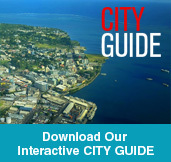 Suva residents take maximum advantage of their port and waterfront areas. The port bustles with maritime activity nearly 24 hours a day while walkers, joggers, general onlookers and other sea loving types frequent the ‘seawall’ area enjoying this truly stunning, natural harbour and its buffering mountains. Travel for less than an hour by car along the coast (half that time by boat to nearby islands) and you will find many intimate spots for a picnic, an enjoyable sunset dip on a stunning beach or go further inland and upward to experience jungle-like terrain – shades of Robinson Crusoe. 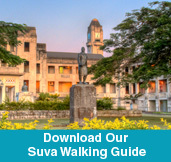 Suva boasts a striking level of different architectural influences that make a walk or drive around the city area a practical lesson in the city’s history. Possessing powerful colonial influences, Far East Indian and Muslim building accents and of course, many structures with traditional Fijian features, the city is an eclectic journey with historical connotations around every corner.